In our evening wander about town, after an "interesting" meal at Agave Grill, Rich and I recovered a few easy benchmarks. 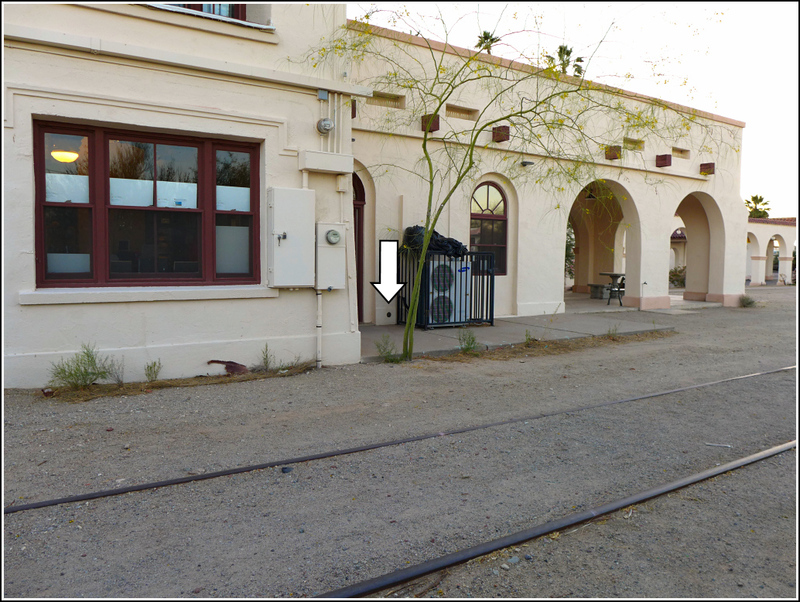 The first was at the Curley School and the second was this one, at the old Tucson, Cornelia, and Gila Bend Railroad passenger station. The station is now a visitors center and it forms the centerpiece of the plaza in the heart of Ajo. The center wasn't open on Sunday evening, so we didn't get to check out the offerings. 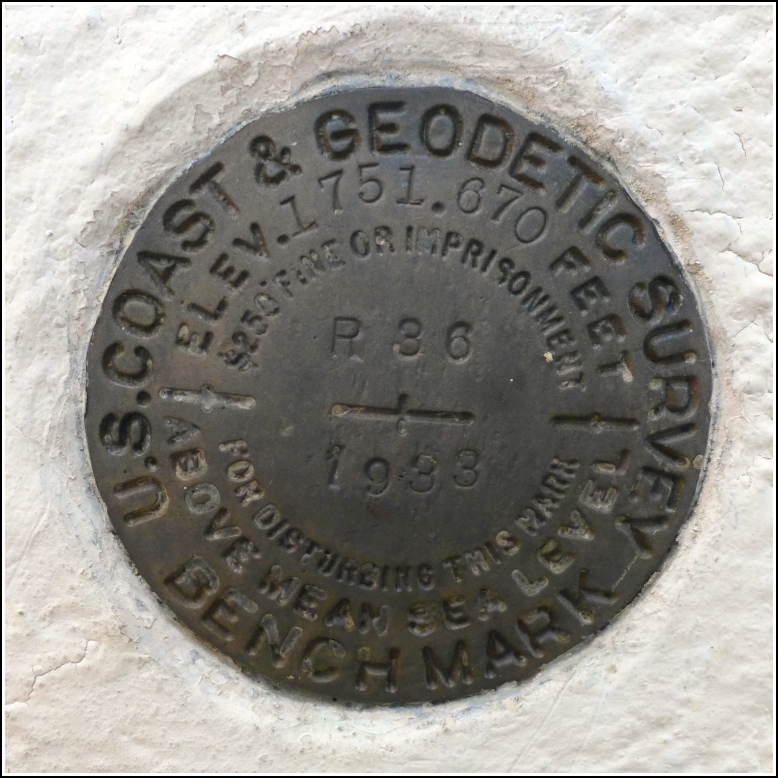 But the benchmark was an easy find on the platform (northeast) side of the building. The disk is in good condition and is no longer covered with paint as mentioned in the 2006 NGS recovery note. 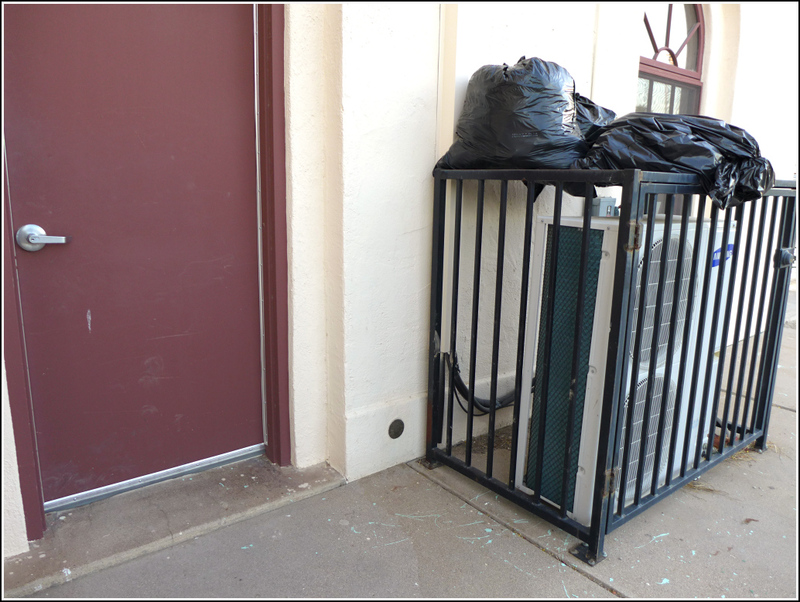 Recovered in good condition. 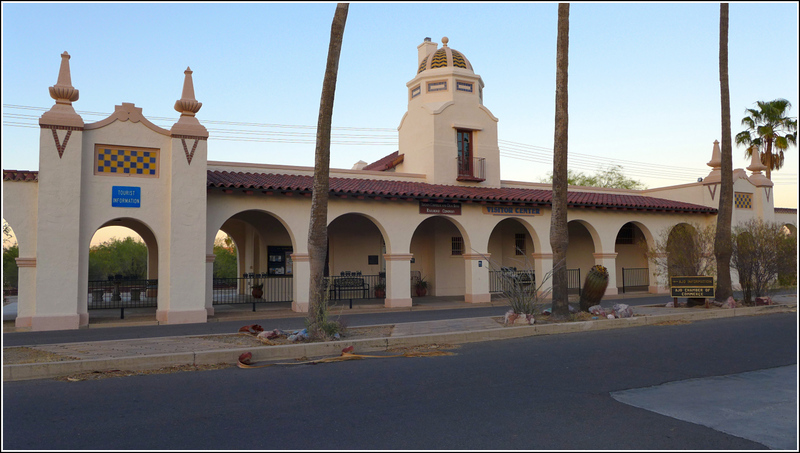 The former railroad station is now a visitors center in the Ajo Plaza.